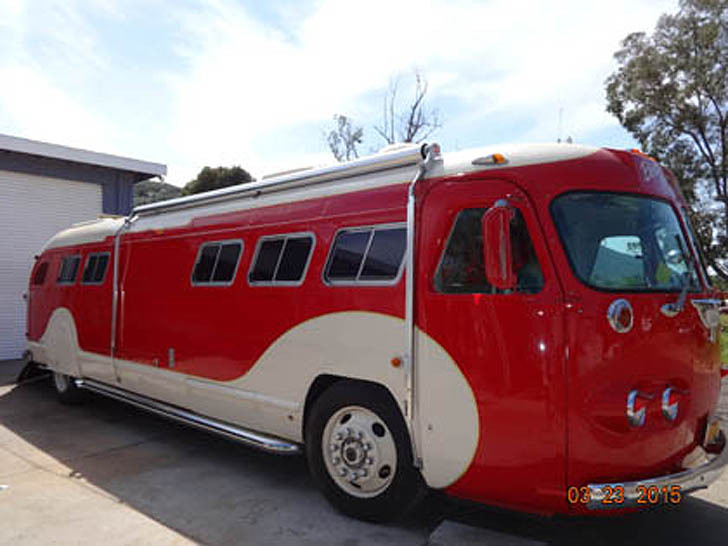 This vintage Flxible bus conversion has a unique story to tell. 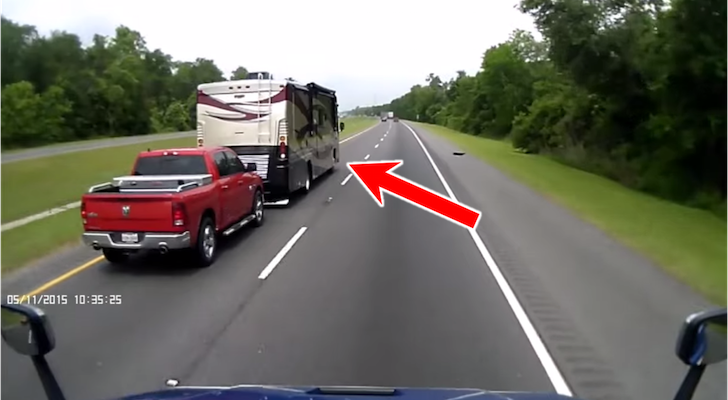 If you’re looking for an RV, look no further! You’re unlikely to find one cooler than this. 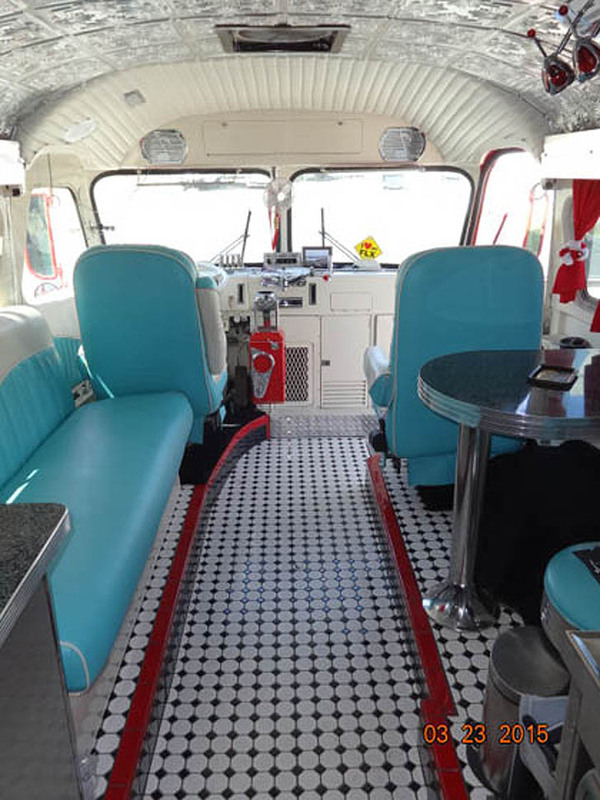 The “Blast From the Past” is a 1946 Flxible Clipper Custom Conversion with a story to tell. 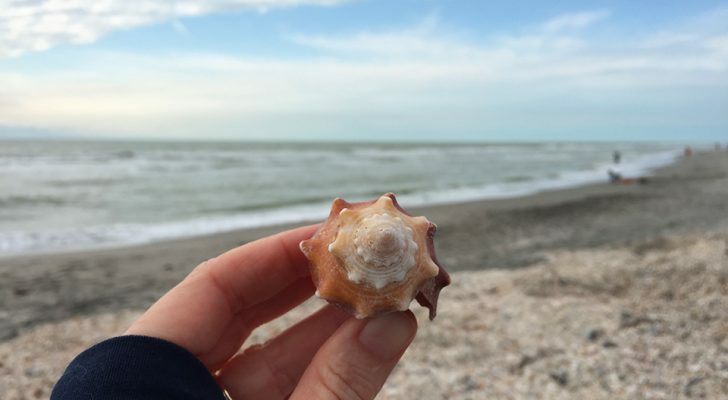 It’s a “Blast From the Past” – in more than name only. The Flxible sidecar company started in 1913 and originally manufactured motorcycles. From there they grew into a leader in mass transit, providing buses for many bus lines across the country. 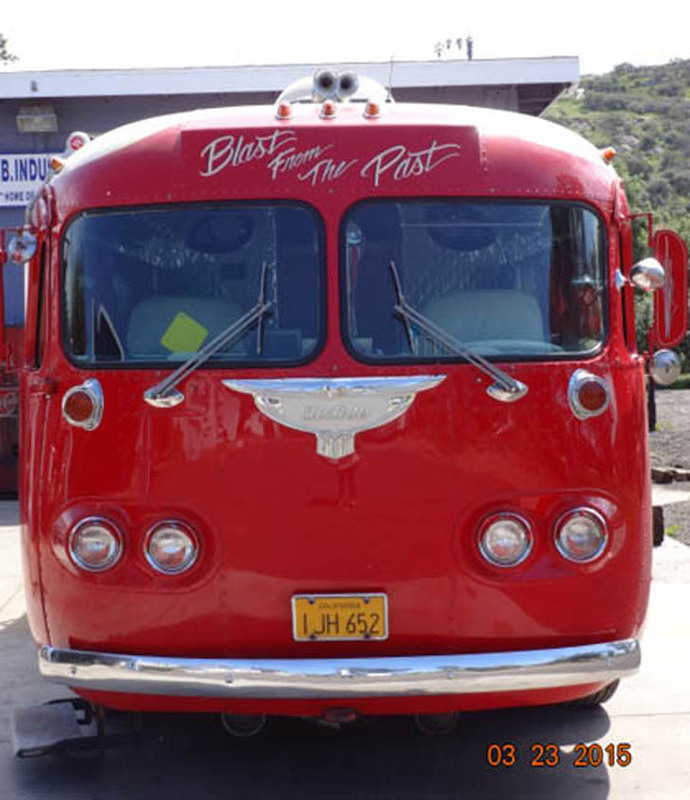 This gorgeous red coach started out in California as a transit bus on an inner city line. 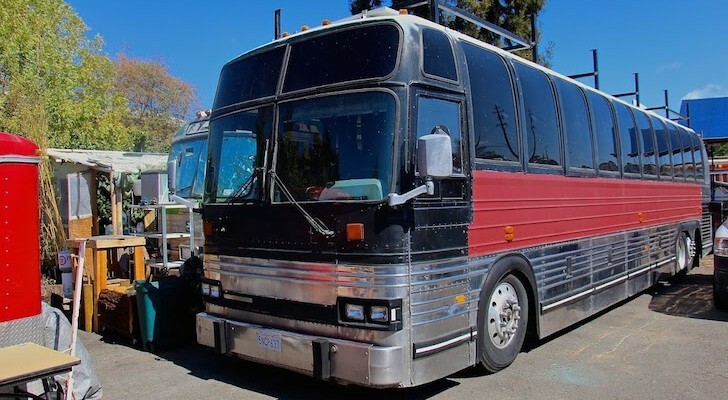 After years of service, it was sold to the Los Angeles Dodgers Major League Baseball team. In fact, the World Series winning 1955 Dodgers road this very same bus home from their championship game! Custom fender skirts and awning freshen up the oldies look. 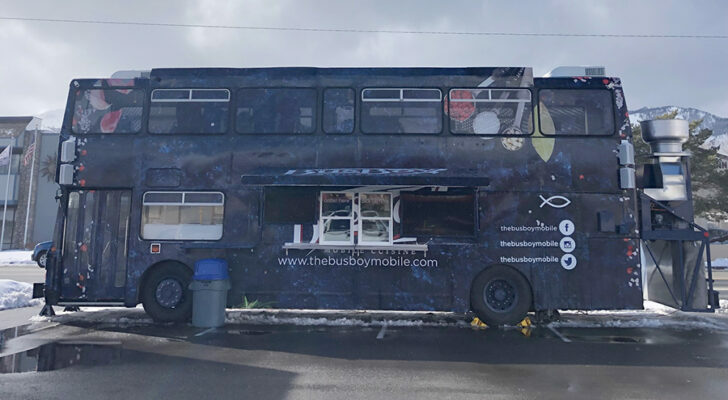 The bus has had surprisingly few owners and took on its current appearance under the design guidance of Rob Rowsell of HB enterprises – a leader in Flxible bus conversions. View of the cockpit, featuring a white upholstered ceiling. The entire power train has been updated to a modern diesel engine and a new braking system has been installed. 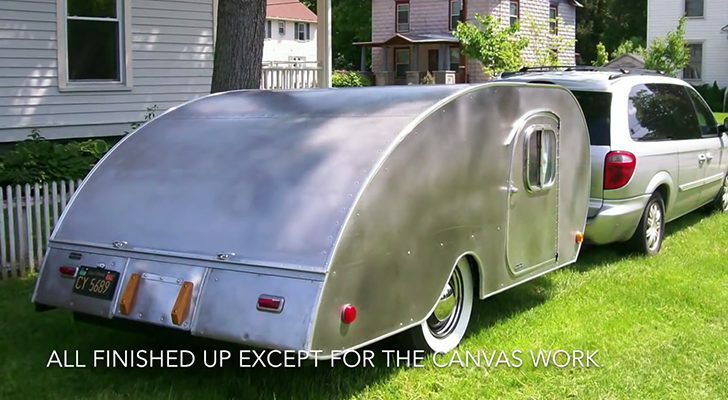 The exterior also received fresh paint, custom fender wells and a professionally installed Zip Dee awning, but the inside is where the real story is! View to the rear, with cafe doors leading to the bedroom. 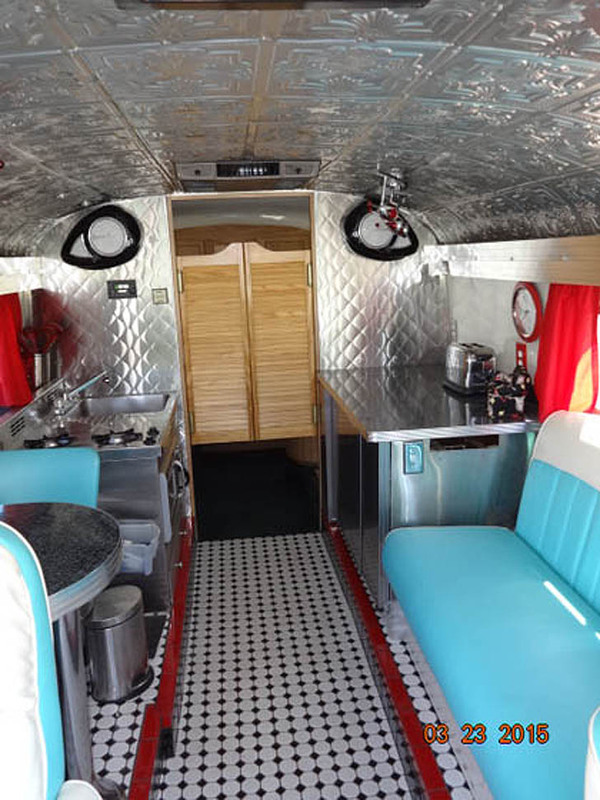 Playing off of its 1950s heritage, the passenger seating, dinette and kitchen have a 50s flair that would make Elvis Presley feel right at home. 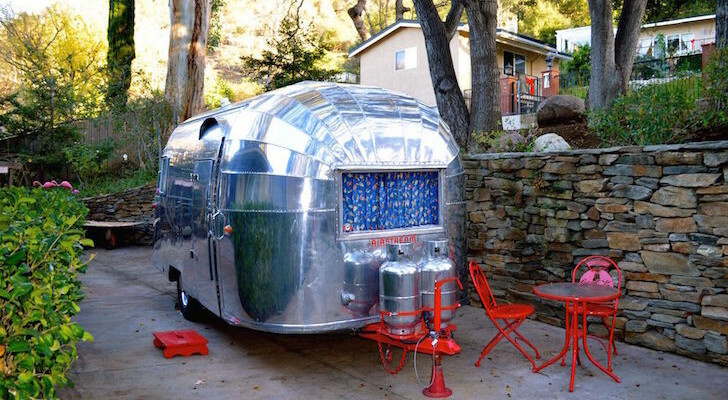 The iconic white, turquoise, red and chrome motif is as fresh and fun now as it was then. Black granite and chrome diner table with table top jukebox. 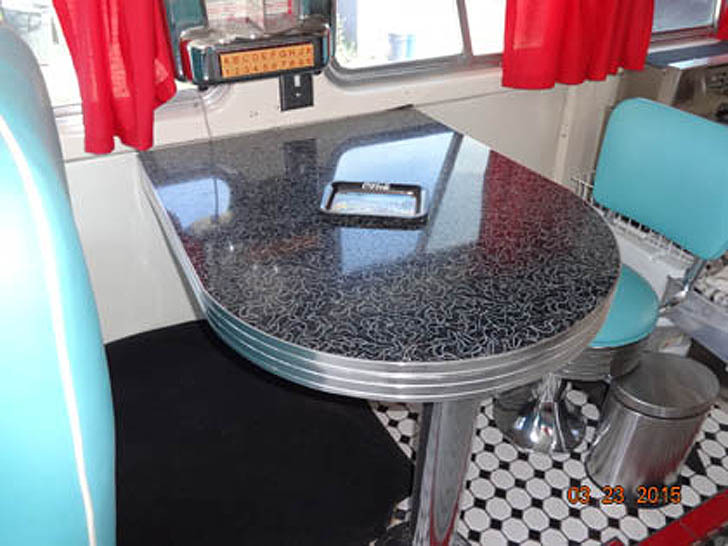 We especially like the black granite and chrome diner table, complete with table top juke box and soda fountain style seating. 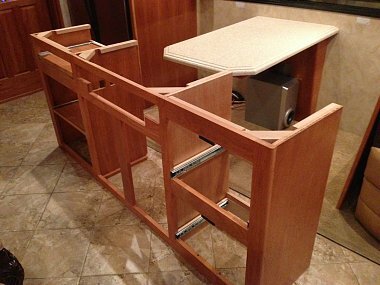 Modern touches exist as well, with Seeburg speakers and indirect LED lighting and even a hidden satellite television system. Stainless steel kitchen with modern technology and retro design. 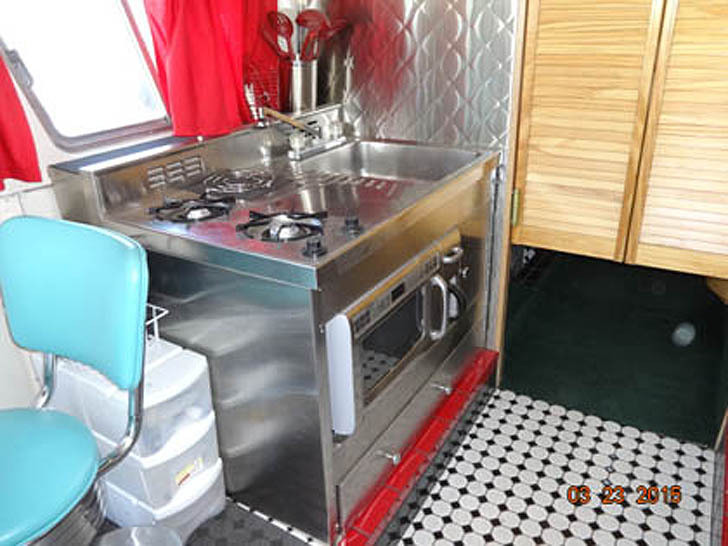 The diner feel continues to the all-electric kitchen, with a stainless steel, café style cooktop and sink, with a front mounted microwave for modern camping convenience. Custom hickory cabinets frame a queen sized bed. 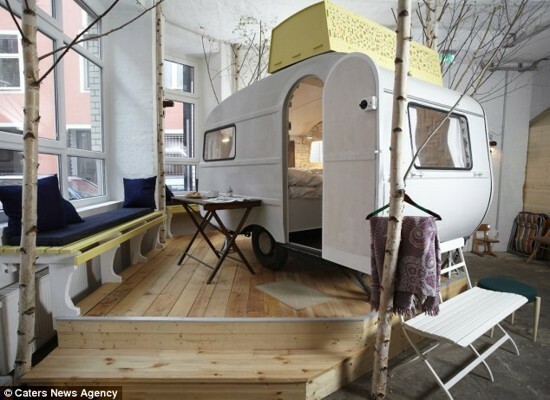 The bedroom is separated from the dining area by a pair of swinging café doors. 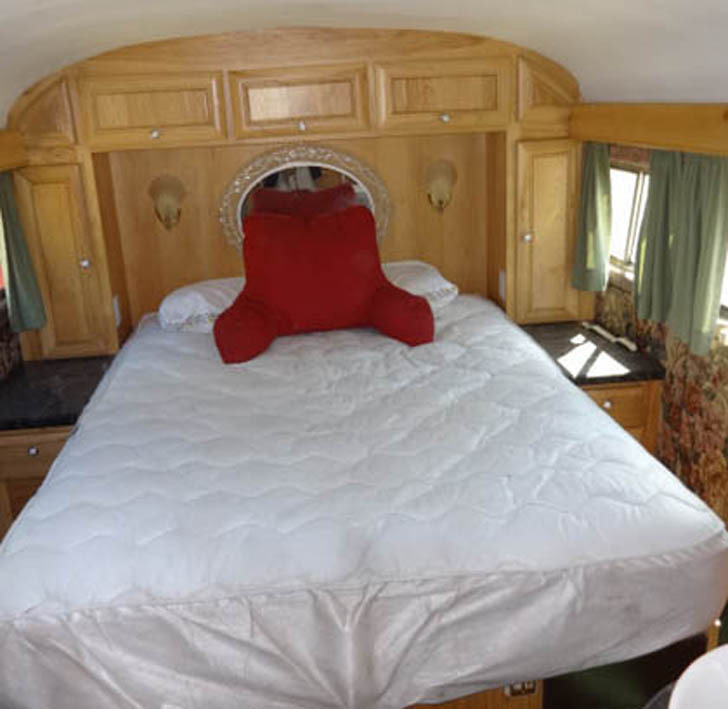 It features a full queen sized bed and custom built hickory cabinetry. 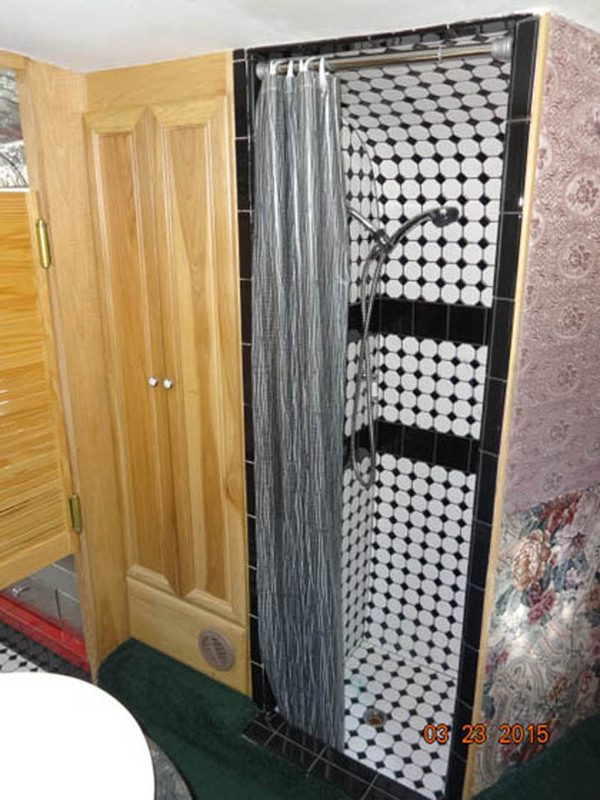 The shower is decorated in the same small black and white patterned ceramic tile that covers the floors in the rest of the bus. The ceramic tile carries over into this nicely detailed shower. The ceilings are not left out either, with an upholstered ceiling in white leather over the cockpit and silver embossed tiles covering the ceiling. It’s the best of both worlds, with fun, classic styling and modern technology combine to create a truly unique coach. If you’re interested in this coach, contact Rob Rowsell through his website.